Musculoskeletal diseases have an enormous impact on the lives of patients and their families. The perturbation of a patient's personal life and restriction of activities as a result of disability are frequently more catastrophic than the muscle or joint pain itself. Diseases of the musculoskeletal system range from minor aches and pains to severe crippling disorders, often associated with premature death. 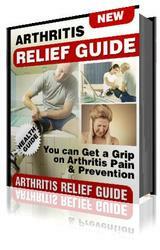 Rheumatoid arthritis is a crippling disorder that strikes many patients in the prime of life. In addition to having joint pain and reduced activity, patients with rheumatoid arthritis fear the possibility of being crippled. They become more dependent on others as the disease progresses. The disability alters patients' self-image and self-esteem. The altered body image may be devastating;patients often become withdrawn. The physical limitations of musculoskeletal disease, especially when accompanied by joint or muscle pain, threaten patients' integrity in their social world. Marital and familial ties may suffer as patients become more debilitated and withdrawn. Because of their disability, patients may have to change occupations, which causes further anxiety and depression. The loss of status and financial adjustments may jeopardize the marital situation. The fear of losing independence is extremely common. Patients are forced to make more demands on others but recognize that this may only worsen their relationships. Rehabilitation is important for the physical and psychologic improvement of the patient. The patient is the key contributor to this rehabilitative process. Initially, motivation may be provided by people caring for the patient, but it is the patient's own attitude that determines whether the rehabilitation will be successful. The patient's motivation to tackle the disability depends on many factors, including self-image, as well as psychologic, social, and financial resources. It is important for the clinician to gain the patient's confidence to help him or her overcome the disability.